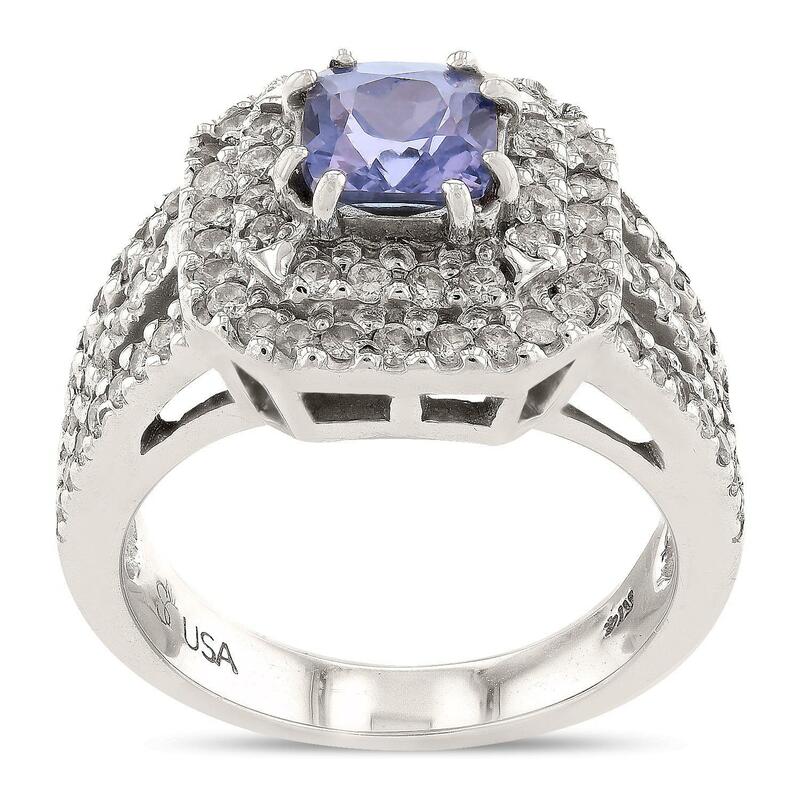 One prong set cushion modified brilliant cut natural color change sapphire, measuring 6.35 x 5.95 x 4.41mm, exact weight 1.50ct., clarity is eye clean, type II, medium dark, moderately strong, bluish violet color, (GIA bV 6/4) to medium, very slightly grayish, purple, (GIA P 5/3), cut is good. Transmitting light with no distortion, transparent. No indications of heating. GIA Gemological Report attached. Graded loose prior to setting in the GIA Laboratory, Report #5171043792. The bluish violet color was photographed under 6000K daylight; the purple color was photographed under 2000K incandescent light, see the photograph to the right. Eighty-four prong set round brilliant cut diamonds, measuring 1.50 - 1.40 x 0.87mm (depth est.) approximate total weight of 84 Stones = 0.93ctw. Graded in the setting. Total Weight of Colored Stones 1.50ct. Total Weight of Diamonds 0.93ctw.